I first met this sweet baby girl when I photographed her family for fall photos! She was adorable in her white fluffy teddy bear winter hat and white sweater suit. 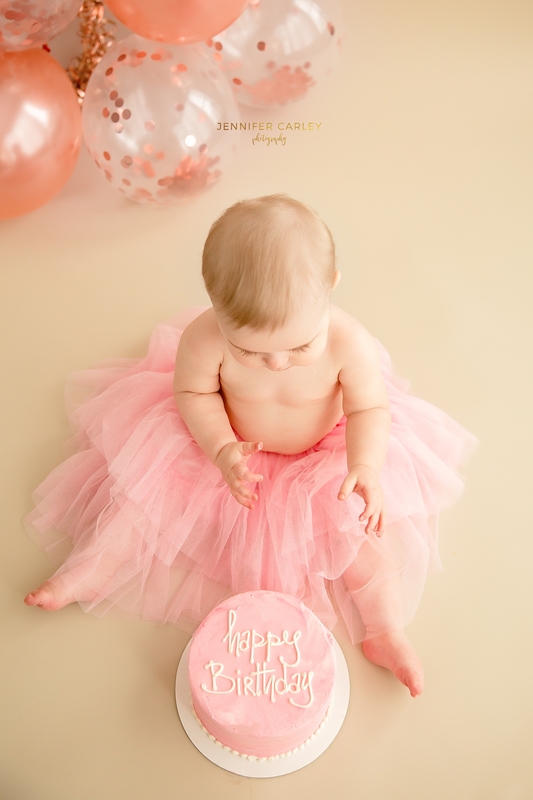 When her mom contacted me for first birthday photos, I was delighted! Since it is February, we opted to use my indoor natural light studio in Flower Mound. The balloons and cake were perfection. We managed to keep the session fast paced since one year olds are curious and have short attention spans. 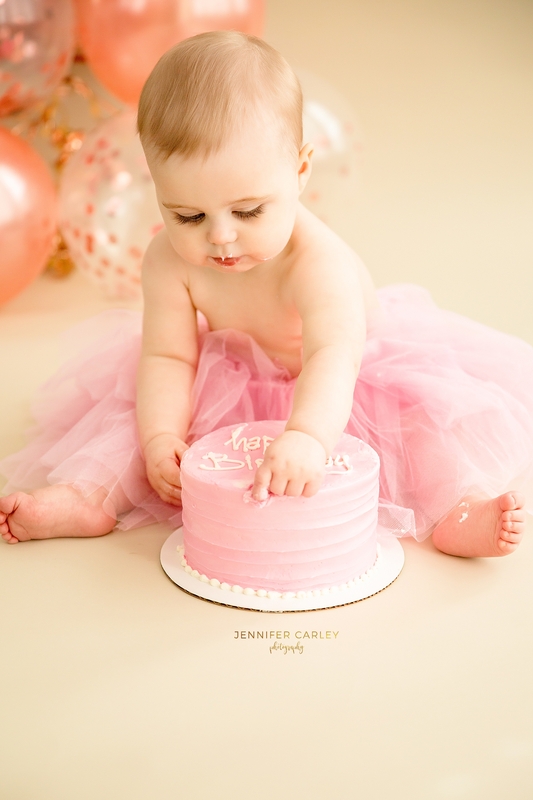 In that time, we managed four outfits and a cake smash! 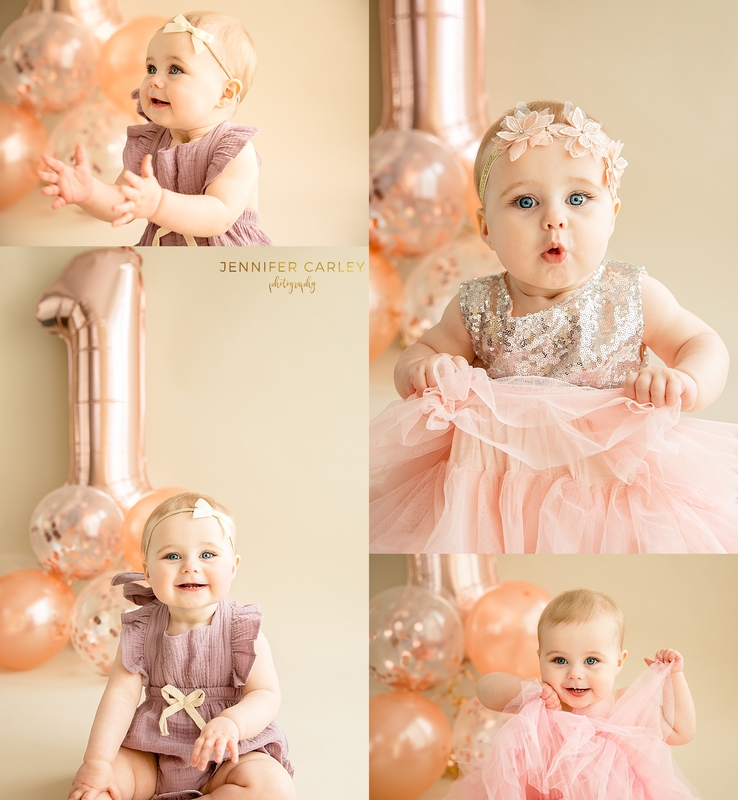 Two outfits were provided from Jennifer Carley Photography’s complimentary client wardrobe closet! It was a pleasure to help the client plan her session to allow it to run smoothly! Next Flower Mound Bluebonnet Photographer | They are blooming soon!